This is the "everything else" corner. Made of bronze (from a St. James Bay Tool Co. casting). 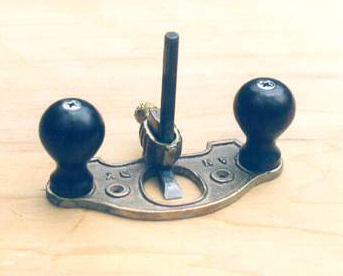 This is slightly larger than a Stanley #271 and much easier to control because it has knobs. It was cast from an original tool that was most likely made by a pattern maker. He even added his name into the pattern "ANDY". The casting that I obtained for this tool was made using the "lost wax" process which is commonly used for casting jewelry because it carries over a high degree of detail from the original object. In this case the threads (10-28) for the knob screws were carried over and were useable! I made this awl rather quickly after seeing an old antique one of the same pattern. The shaft is 3/16" O1 drill rod with a short piece of ½" brass rod that was center drilled and sweated on with silver solder. I then glued that into a small block of cocobolo and turned the whole assembly in the lathe (including the brass). Works great! These trammels are made of Kingswood. Again, they were inspired by an antique set I saw somewhere. 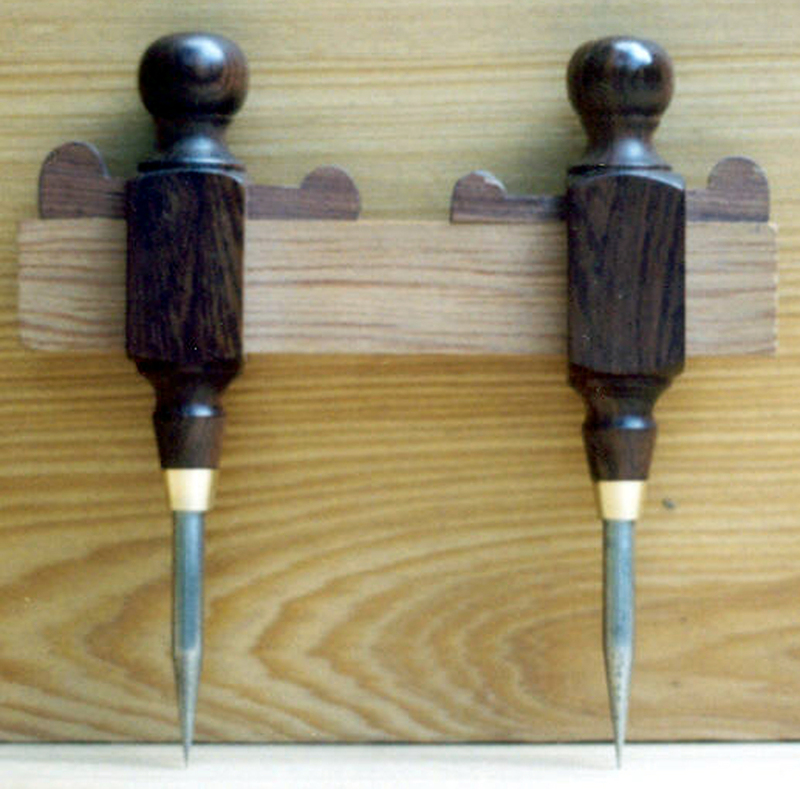 Construction was similar to the technique described above for the awl. But, I cut the mortises for the wedge and beam before turning.